The Epiphone MB-200 is a terrific 5-string banjo for beginners that includes all the key features of a professional 5-string banjo but lighter weight. The MB-200 reflects Epiphone’s 80-year history as a leader in banjo design. At the height of the banjo era in the 1920’s, Epiphone had 11 different banjos in production and many of founder Epi Stathopoulo’s patents are still in use today and can still be found in our professional banjo line. The MB-200 comes with the peace of mind you get from a Limited Lifetime Warranty backed by Gibson’s famous 24/7/365 day Customer Service. Become a part of living history and play an MB-200 today at your Authorized Epiphone dealer. 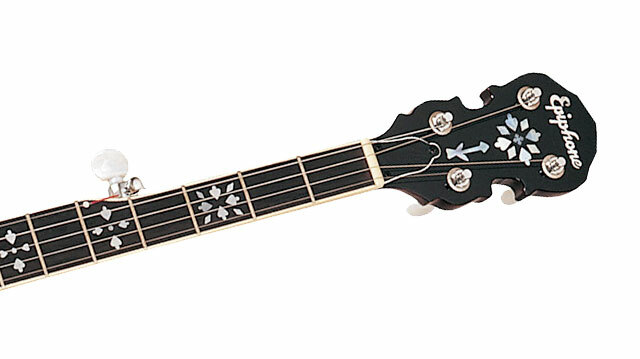 The MB-200 features a mahogany resonator body, a maple bridge, and a classic USA Remo™ banjo head. Remo has been the standard for banjo heads for over 3 generations and perfectly compliments the rich mahogany body, one of the great tonewoods for acoustic instruments. The 26.25" scale mahogany neck, which joins the body at the 20th fret, has a rosewood fingerboard with a 1.25" nut, pearloid flower inlays, and a traditional Epiphone banjo headstock with vintage style inlay. 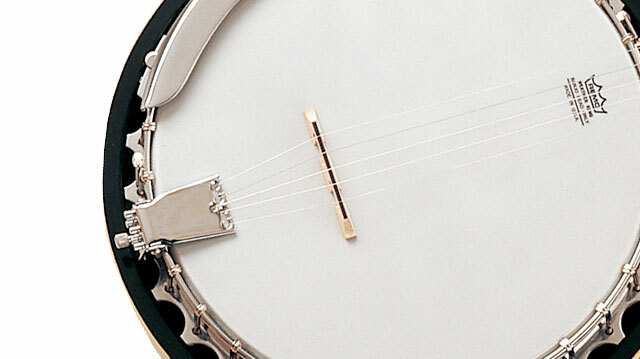 Vintage banjos suffer from the wear and tear of a century of playing and the hardware often suffers the most. Epiphone’s nickel tuners are designed at Epiphone in Nashville, TN and provide solid tuning and reliability.